A seismograph, or seismometer, is an instrument used to detect and record earthquakes. This is what ours looks like. Koraunui School joined the ‘Rū Seismometers in Schools’ in July 2016. The network has been created and maintained by the Auckland University (AUT) Physics Department. 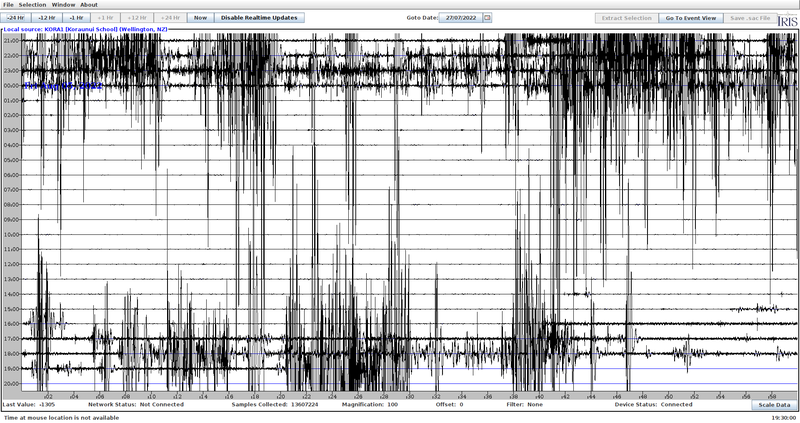 We are very lucky to have a seismometer at our school. The children are able to check it regularly and see how it works because it is based permanently onsite.